Western Force centre Solomoni ‘Junior’ Rasolea has signed a two year deal to play in Scotland for Edinburgh. The Brisbane -born 24-year-old played for Fiji in the World Rugby Under-20 Championship in 2010 and 2011, helping his side to sixth place at the latter tournament. Later that year he was selected for Australia 7s and played in the squads that competed in the London and Glasgow legs. Since debuting for Super Rugby side Western Force, against Melbourne Rebels, in 2013, Rasolea has made 28 appearances in the Southern Hemisphere’s premier club competition, scoring 10 points through two tries. On signing, Rasolea said: “I am really excited about arriving in Edinburgh and getting stuck into northern hemisphere rugby next season. “I have heard great things about the PRO12 and am looking forward to joining up with the lads in the summer. “I hope that my knowledge of Super Rugby will be a positive influence on the squad and it will be great to share playing ideas. “I really enjoy getting my hands on the ball and enjoy the physical side of the game. It’s also going to be great to play with and against players from different playing backgrounds. 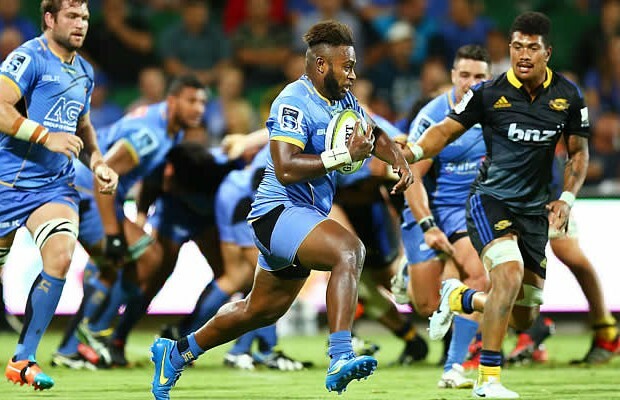 Head coach Alan Solomons said: “Junior is a talented young player who has established himself this season as a starter for the Western Force Super Rugby team.